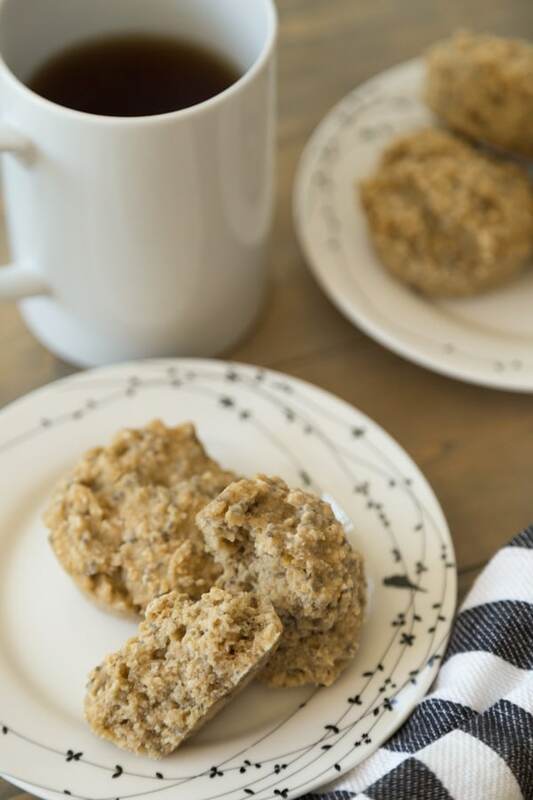 Grab one or two of these flavor-packed oat bites while on the go and transport yourself to a cozy afternoon tea no matter where you are! Made with Earl Grey tea and they’re gluten-free, oil-free and refined sugar-free. Recently I’ve found myself even more on the go with wedding planning hitting full force. Between meeting with florists, my wedding planner, and running what seems like 1,000 errands, I’ve found myself not finding the time to eat, and then quite hangry when intense hunger strikes! After a few of these incidents, I’ve started prepping for these busy days ahead of time, by packing healthy food that I can easily eat on the go. 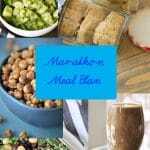 While mason-jar salads, overnight oats, and sandwiches are great options for lunch, they’re not great for eating on the go. 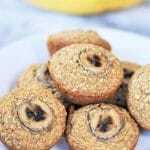 For those days full of car rides, I’ve created these awesome little lemon muffin oat bites! They’re extremely portable, and they’re not crumbly or messy! 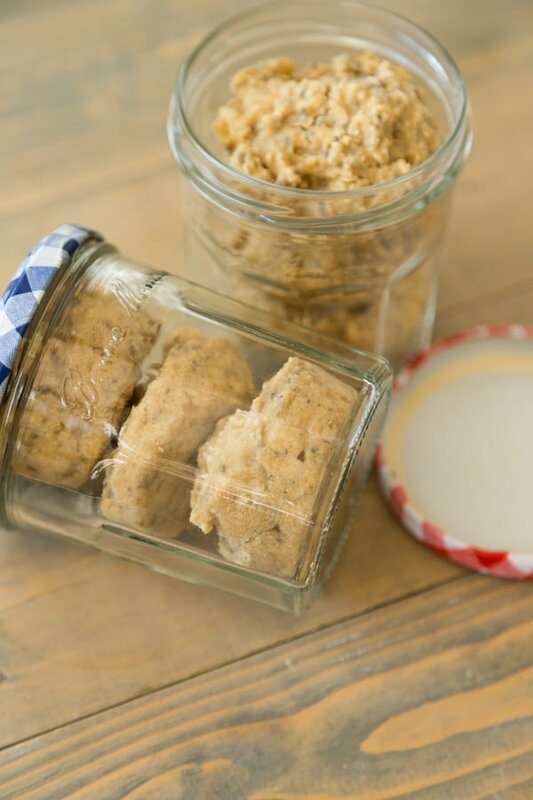 These portable treats are made of oats to keep you feeling fuller longer. 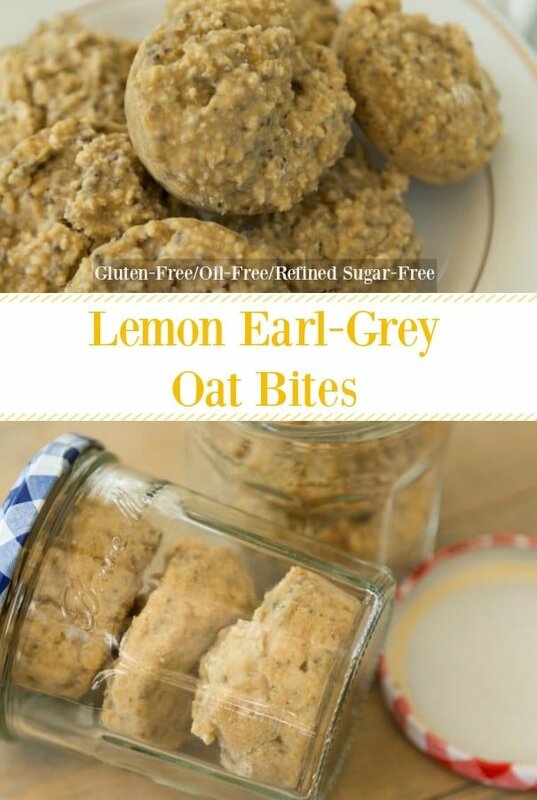 The combination of earl grey, lemon and oats make for an energizing and satisfying treat. Say no to hanger with these little bites! 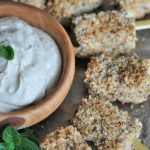 And, not only are these a satiating snack, they’re also super delicious. The earthiness of the earl grey combined with the brightness of the lemon and sweetness of the maple syrup literally tastes like a bite of afternoon tea. First – Steam the almond milk and the tea for a few minutes and then let it sit for ten minutes. 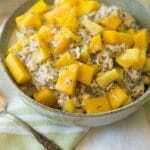 Second – Mix the dry ingredients in a mixing bowl and then mix the wet ingredients in another bowl. Third – Strain the tea leaves from the milk and whisk into the wet ingredients and then stir the wet into the dry ingredients. Fourth – Spoon the batter into the muffin tin and bake for approximately fifteen minutes. 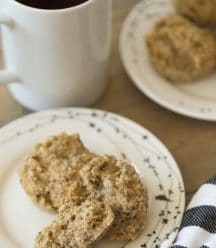 These crunchy little oat bites with lemon and tea are a great on the go breakfast or snack. 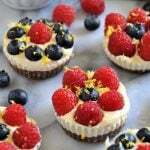 They’re also perfect for afternoon tea. They’re chewy and so satisfying. Make a double batch and freeze the extras so you can always have some on hand. Watch the almond milk carefully so it doesn’t begin to boil. You only want to steam it. You also want to be sure to let it sit for the full ten minutes so you get the full flavor of the tea. Make sure that you buy certified gluten-free oats if you need these to be gluten-free. Check the expiration dates on your flour and baking powder. Don’t over mix the wet and dry ingredients. Once you make these, take a picture and tag us @veganosity on Instagram so we can see your gorgeous creation. 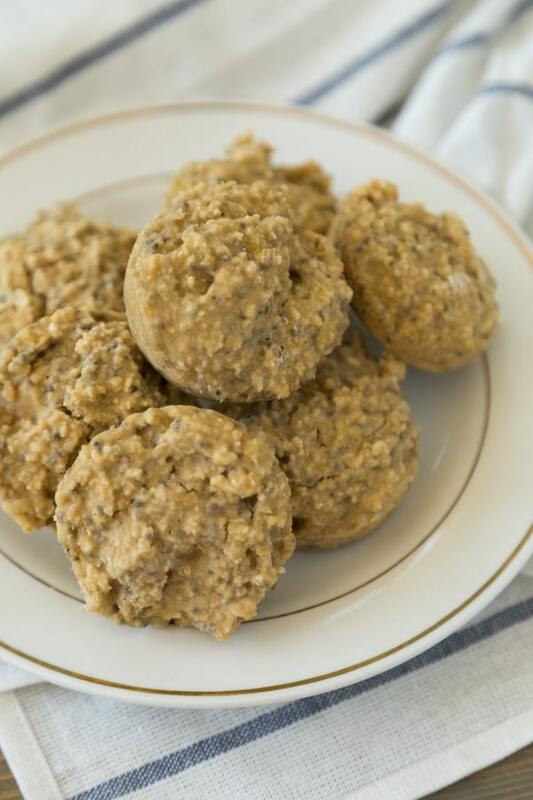 Healthy oil-free, gluten-free and refined sugar-free oat muffins that are easy to make, delicious and portable. Preheat oven to 350F (176C) and line a muffin tin with cupcake liners. In a small saucepan, heat the almond milk and tea leaves on medium-low heat until it begins to steam, approximately 4 minutes. Remove the pan from the heat and let sit for ten minutes. Be sure to watch the milk carefully so it doesn't boil and let the tea sit for the full ten minutes to get the best flavor. Strain the tea leaves from the milk. In a large mixing bowl, whisk the dry ingredients until fully combines. Set aside. In a medium bowl, whisk the wet ingredients together until combined. Strain the tea leaves and add the milk to the mixture. Stir to combine. Fold the wet ingredients into the dry until combined. Don't over work the flour. Fill the muffin tins 3/4 of the way full. Bake for approximately 15 minutes or until a wooden toothpick comes out clean after inserted into the center. Cool on a wire rack. Freeze muffins for up to 3 months. Yum, these look so interesting and delicious. Never worked with tea in baking before, thanks! The tea adds a really lovely flavor. I hope you try them. Thanks, Christine! 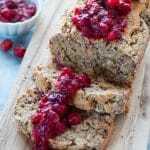 Could you use a whole wheat or spelt flour instead of all purpose? We try to avoid white flours. These look great!! Hi Becky! We haven't tried using any other flour other than what is listed. The all-purpose we used was a gluten-free blend, so there isn't any wheat flour in it.